We all know that water is an essential element and mostly doesn’t have any taste as it is. Not everyone does like a taste of pure raw water. But since it is a crucial element in our life, we need to ensure that we have enough water per day so, our body can continue to function correctly. 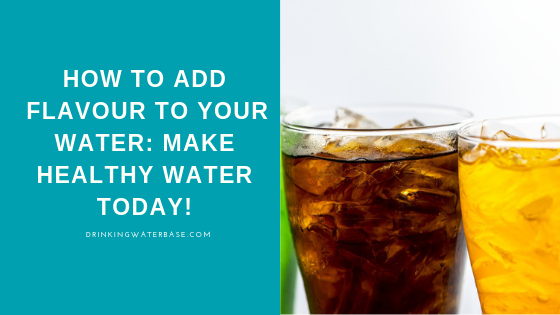 If you want to drink more water, but you don’t like its taste or lack any taste, I will share with you five tips on how to add flavor to your water. In fact, I have decided to make this article more interesting and share with you only healthy ways to flavor water. I understand that lots of my readers are usually people that keep a healthy lifestyle and a balanced diet. If I just include unhealthy ways, then you probably end up with water that has loads of sugar and additional calories. This article would also be useful for parents that are struggling to get their kids to drink more water and will get rid of the need to buy useless carbonated drinks and expensive juices all the time. I would like to invite you to use these simple ways to make tastier water. You are probably wondering how many different ways there might be to make healthy water. Well, I can confirm that not many and in fact, these are just different ways of using fruit as the primary flavor substance so, let’s have a look now. Of course, the most popular option amongst people is lemon. Lemon is often used in water as chopped slices or small cubes. It is an excellent combination with mint, as mint adds an extra fresh flavor and make water to taste better. Water with lemon helps to clean blood vessels and arteries. Also, lemon helps to clean the blood itself as well as cleansing your liver. The extraction from lemon stimulates the liver to release toxins, and those are then flushed with water out of the body. Although lemons and limes are always next to each other, lime actually gives the water a completely different taste than lemon. Mint can also be perfectly combined with lime and don’t be afraid to add it in large quantities. Simply start your day with a drink like this. The lime extract will saturate your body with healthy vitamins and microelements, and as well as lemon contributes to the removal of toxins accumulated overnight in the stomach and intestines. You can add a freshness to your water with the slices of fresh cucumber. Due to the weak taste, cucumber will not change the taste of water massively but will add a pleasant aroma. Add a few sprigs of dill, as dill makes a great combination with cucumber. You can also mix cucumber water with a little touch of lemon extract or tiny slice, and as a result, you will get an unusual, refreshing taste. There are lots of different ways to flavor your water, and this is another way of utilizing fruit. You can prepare perfect ice cubes of berries. Just blend a mixture of berries to create a smoothie. Pour the smoothie into the ice cube tray and freeze it. If you have kids, you can use more playful shapes instead of simple cubes. The unusual shape and perfect color combination of mixed fruit will ensure that your kids will be well motivated to drink more. By the way, don’t limit yourself to only berries mix, and use various fruits. My favorite flavor is the water with frozen kiwi cubes. Of course, this option is more suitable during hot summer days as frozen fruit will create such a refreshing and cooling drink. Cranberry and cowberry are often classified as a “superfood,” and there is a reason for it. First of all, cranberries are powerful antioxidants, they protect cells from the harmful effects of free radicals, and also they slow down the aging of the body. Cranberries are also rich in potassium salt and vitamin C so, they prevent your body from seasonal illnesses such as flu. Cowberries and the leaves of cowberries have antimicrobial and antiseptic attributes and also are known as diuretic fruit. Apart from that cowberries are used in the beauty industry. A broth of the cowberry leaves are used as hair loss prevention, dandruff, and help to eliminate skin inflammation. Also, cowberry extract has a tonic effect on the skin, it increases its elasticity and strengthens the epidermal wall. Now, when you know all the benefits of these two superfoods, I am sure you are convinced that this is a good idea to use them in water. Let’s have a look at how you can integrate them in. The preparation is effortless, fill the bottle with fresh fruits and clean water. To obtain more benefits and proper taste you can dump or blend the fruit, and you have to leave it in the water for at least 6 hours. Please note, that I am not saying herbal tea but herbal extract, let me explain why. If you are trying to reduce the amount of caffeine intake, it’s not the best idea to drink tea as there is still caffeine in there. Also, the quality of tea is the topic for a lengthy discussion, but the only thing I can say about it is that I would instead prepare herbal drink than tea. I like this particular method of herbal infusion because there is a vast variety of different herbs. Whether you have troubles with sleep, or otherwise you need to boost yourself to higher performance, you will always find the right herbs to help out. I will give you some examples of herbs, but please feel free to use google if my selection is not good enough. If you need to calm yourself down or you have issues with the quality of sleep, the following herbs will help you. The preparation for all of the following herbs is the same; essentially you prepare them the same way as tea, mix herbs with hot water and let it rest for 15 minutes. Use the quantity of 15 grams of each herb per cup of drink. Now, let’s have a look on some of the herbs that will increase your life energy. This is just the selection of various herbs. I cannot stress enough that you can be as creative as you only can be when it comes to the herbal mixtures. As you have probably noticed already herbal drinks are usually prepared in hot water, because only in boiling water they can release all the benefits. However, you can make a cold brew as well. The way you can do so is the same as the preparation of one cup. The only difference is the scale. You just use a bigger pot for the preparation and thus a more substantial amount of herbs, and you leave them in hot water bath for 15 minutes to boil, and then you leave the drink to cool down to the room temperature. After this, you filter out herbs from water, pour the bottle, and you are ready to go. TIP: You can add your favorite fruits into the mix after you take the pot off the heating. When you prepare an infusion, always try to calm yourself and get into the mood of healing. Try to feel the natural power of plants, feel the connection with the earth, sun, air, and water through the drinking. Express the personal gratitude for the help, as only then the drink itself will help you on deeper than just physical level. I would like to strongly point out that before you prepare any of the mixes you need to be sure that you don’t have an allergy on any of the herbs, and that I am not responsible for any causes. Tips mentioned in this article are purely based on my experience, so please consult and ask for advice from your general practitioner. Before I wrap out the article, I would like to answer one quite an important question. How long should you store the water for? The answer is three days in the refrigerator. I don’t recommend you to prepare much of the drink in advance, especially since the preparation time takes a couple of minutes in most cases. Therefore it shouldn’t be difficult to make a fresh drink regularly. You can use a strainer to prevent fruits and herb from falling into the bottle or cup, or you can use a jug with a built-in filter or lid. Finally, one last benefit of a drink. You can be sure that you will definitely surprise your friends with a delicious and creative drink. Try out my tips yourself, and let me know what are you doing to improve the taste of the water. Also, feel free to share in a comment section, what other combinations of fruits and herbs you have created. 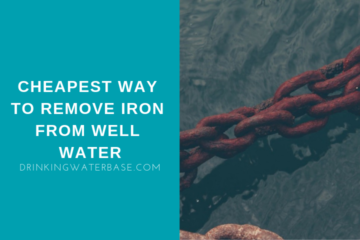 Remember, that to get the best results from these tips you need to ensure that you have clean water without any harmful contaminants. 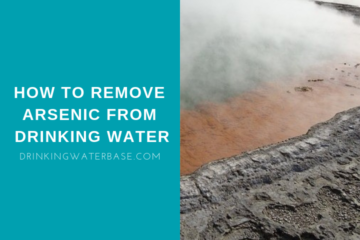 You can read more about water purification and ways to do so in my other articles. Hello Eugene! How awesome are you feeling right now? Well I got to say that cranberry has always been my first choice when it came to drinking anything healthy; but you definitely have given me much more clarity on all the different ways that I can flavor my water. Lemon and Ginger has helped me out of a jam many times when my family would get sick! Can you do an article for people with high cholesterol or diabetes? That would be great! You are welcome Patty, glad you have found the content useful 🙂 Let me know if you have found any other unusual combinations to try.